IU and BTS, arguably the two biggest music stars of 2017, won the top prizes at the Golden Disc Awards, Wednesday and Thursday. The event, held in Goyang, Gyeonggi Province, commended last year’s standout achievements in the music industry by referring to statistics from the Gaon Chart. IU won the Grand Prize for digital sales with “Through the Night.” The song, released in March, was the most streamed song of 2017. 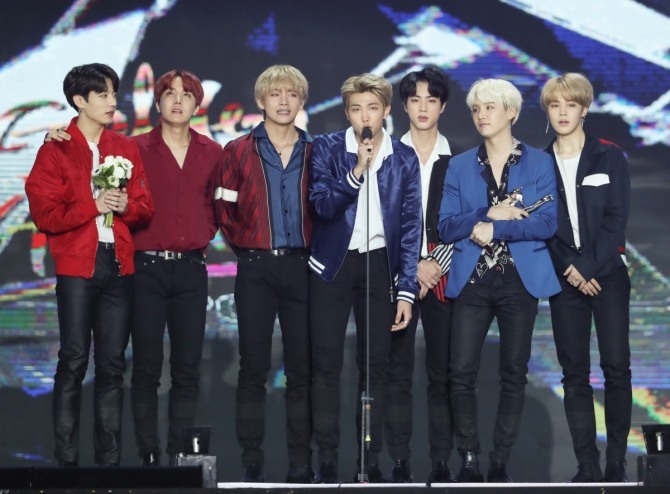 For the physical album sales award, boy band BTS was the grand winner for its smash hit album “Love Yourself Seung Her,” which recorded 1,493,443 album sales.